Filled with princesses and witches, dybbuks and wonder-working rebbes, the two hundred marvelous tales that make up this delightful compendium were gathered during the 1920s and 1930s by ethnographers in the small towns and villages of Eastern Europe. 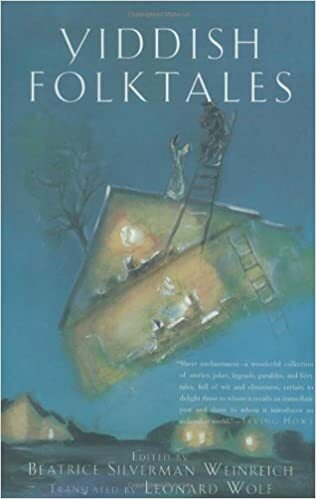 Collected from people of all walks of life, they include parables and allegories about life, luck, and wisdom; tales of magic and wonder; stories about rebbes and their disciples; and tales whose only purpose is to entertain. Long after the culture that produced them has disappeared, these enchanting Yiddish folktales continue to work their magic today.